Describe marketing and sale of palm products including “traditional” uses in regional markets as well as processed materials sold at national and international markets; and analyze the economic importance, potentials and implications of the trade. 1. Document, describe and quantify the trade of palm products in north-western South America, including local, regional, national and international markets. This objective has mainly been achieved through the review paper we published in 2011 (reference given below).The review covers the economically most important species regarding market value and volumes traded throughout the region. Brokamp, G., Valderrama, N., Mittelbach, M., Grandez-R., C.A., Barfod, A.S. & Weigend, M. 2011. Trade in Palm Products in Northwestern South America. The Botanical Review 77(4): 571-606, DOI 10.1007/s12229-011-9087-7. An in-depth quantification of the current stage of commercialization for all species and all products on all geographical levels was neither planned nor possible in the course of this project. A crucial problem encountered in the course of the project was that the bulk of the local to national trade in palm products is exclusively informal. Insofar as companies are at all involved (and any type of written record does exist) such information is often treated as confidential. Accordingly, a meaningful quantification was only possible for palmito and vegetable ivory (the most important individual palm products from NW South America). Official statistics are here available because of the international trade in these commodities. In addition, several case studies (presented at conferences, submitted or published in scientific journals) and book chapters and 2 thesis works (all references given below) aim at filling in the gaps in our review paper for all species (and countries) we were able to get hold of relevant data (through our own research and contributing colleagues from other WPs). We now have exemplary data sets and studies on the main use categories and product types identified in the course of the project, namely palm thatch, palm oil, decorative/jewellery, and palm fibres. These are also representative of the different levels of commercialization (local to international). A final review that will be published as part of the last deliverable of the PALMS project (D 13) will compile these data to present a representative, if not comprehensive picture. Brokamp G., Mittelbach M. & Weigend M. 2010. 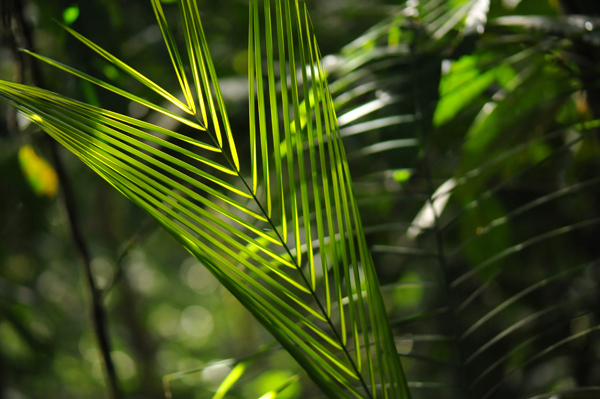 Trade, value chain and legal aspects for two palm products – a case study near Iquitos (Peru). Poster. Palms 2010, International Symposium on the Biology of the Palm Family, Montpellier, France. Brokamp G., Montúfar R., Pintaud J.‐C., Dussert S., Weigend M. 2011. 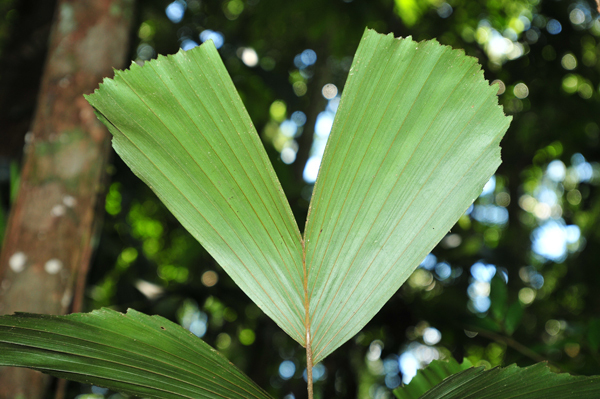 Native palm oils from NW South America – FA composition of Ecuadorean palm oils and a case study on commercially available mesocarp oil from Oenocarpus bataua (Arecaceae). Poster. Botanikertagung 2011 – Diversity makes the difference, Berlin, Germany. Brokamp G., Montúfar R., Dussert S., Pintaud J.-C., Isaza C., Weigend M. 2012. Detecting adulteration and population differentiation by PCA and Cluster analysis with fatty acid composition data of Oenocarpus bataua (Arecaceae) mesocarp oil from NW South America. Talk. 13. Jahrestagung der Gesellschaft für Biologische Systematik, Berlin, Germany. Brokamp G., Baldassari D., Cevallos D., Weigend M., Balslev H. 2012. Brooms made from fibres of Aphandra natalia – insights into a typical palm product from NW South America. Talk. EUNOPS 2012, Centro Studi e Ricerche per le Palme Association, Sanremo, Italy. Brokamp G., Montúfar R., Jacome J., Baldassari D., Weigend M. 2013. Causes of resource limitation in the trade with tagua (Phytelephas aequatorialis). Talk. EUNOPS 2013, Aarhus University, Aarhus, Denmark. Montúfar R. & Brokamp G. 2011. Palmeras aceiteras del Ecuador: estado del arte en la investigación de nuevos recursos oleaginosos provenientes del bosque tropical. Revista Ecuatoriana de Medicina y Ciencias Biológicas 32: 93-118. 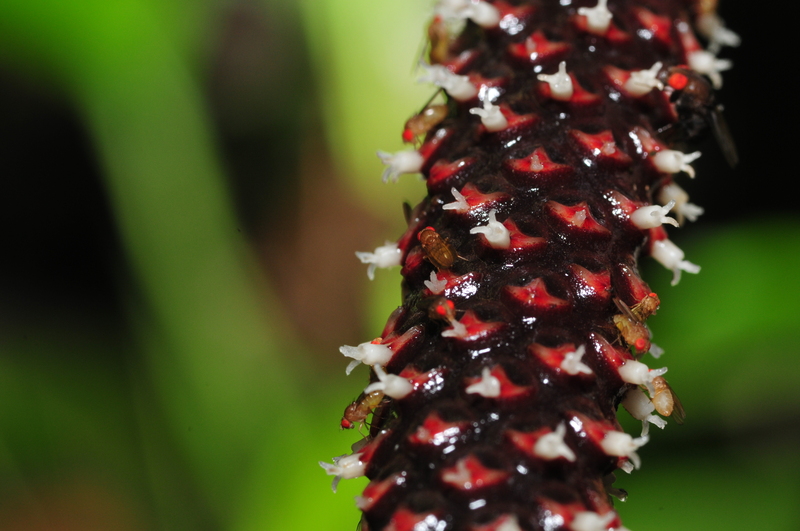 Brokamp G., Borgtoft Pedersen H., Montúfar R., Jacome J., Weigend M. & Balslev H. (accepted) Productivity and management of Phytelephas aequatorialis Spruce (Arecaceae) in Ecuador. Submitted to Annals of Applied Biology on 11th of July 2013, accepted with minor revisions on 12th of September 2013, final revision ahead, AAB-2013-0230. Brokamp G., Montúfar R., Laffargue A. Dussert S., Isaza C., Pintaud J.-C., Weigend M. (submitted) Utilization of FA composition data for authentication of Oenocarpus bataua mesocarp oil. Manuscript submitted on 11th of October 2013 to Economic Botany. Montúfar R., G. Brokamp & J. Jácome. 2013. 13. Tagua: Phytelephas aequatorialis. Pp. 165-173 in: Valencia et al. (eds.) Palmeras Ecuatorianas: Biología y Uso sostenible. Publicaciones del Herbario QCA de la Pontificia Universidad Católica del Ecuador. Brokamp G. (PhD thesis FU Berlin) 2013. in progress. Biology, sustainability and socio-economic impact of wild plant collection in NW South America. Dr. rer. nat., Freie Universität Berlin, Berlin, Germany. Weigend M., Hilger H.H. 201 pp. 2. Evaluate marketing strategies and future demands for traded palm products. Parts of this objective are already covered by our review paper and case studies (references see above), parts will be taken care of in the last deliverable to come (D13), where the various individual studies will be compared specifically under these aspect. Classical strategic marketing is very uncommon in palm products, but we consider this in itself as an important result. Again, estimation of future demands is a very difficult task based on the fragmentary data available and the absence of a reliable timeline. However, it will be possible to make some general prediction on likely market behavior in the different categories investigated in more detail. It will thus be at least possible to present tendencies for the economically most important raw materials and species, based on known overall economic dynamics and resource use and availability. 3. Evaluate future demands for traded palm products in terms of amounts extracted compared to the productivity of the resource. Parts of this objective we already achieved through the elaboration of 3 case studies on vegetable oils from native palms and vegetable ivory from Ecuador, (published, accepted or submitted scientific articles, references see above). However this objective will be further taken care of as a part of the final deliverable of PALMS (D13). In order to achieve objective 3 we will review all WP4 data and results in combination with data and results provided by other WPs (mainly WP1 and WP5) in a regional context.